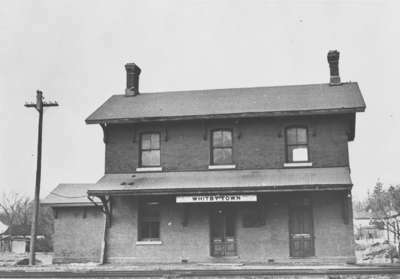 Black and white negative depicting a photograph of Whitby Uptown Station which was the station for the Port Whitby and Port Perry Railway. The station was photographed from beyond the railroad tracks. View looking west. Uptown Station, Raymond F. Corley. Whitby Archives 14_002_012.